I think it's pretty normal. Look at their recent tour history. They put together some random little jaunts. Happened to me about 1000 times trying to get McCartney tix earlier this year. Hoping to see Tool in either St. Louis or Des Moines. Can't wait for the new album this year, not holding my breath. I will be shocked if we don’t see the new album by June or July. I really can’t envision them doing the picture from Gateway Studios if they weren’t getting it done. 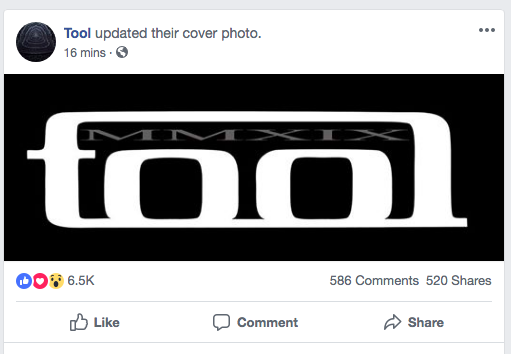 I'm hoping that the new album announcement is true. Will be very interested in the new album.